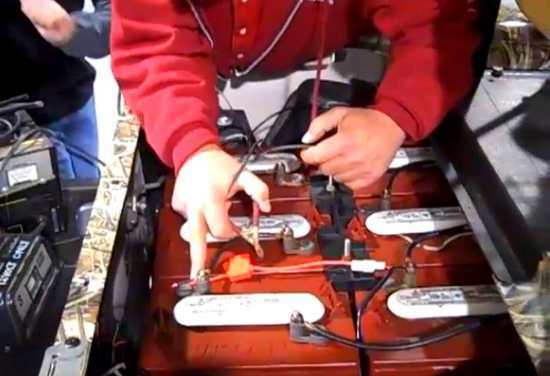 Taking a look over your Trojan Golf Cart Batteries alone is not sufficient to determine the overall health of the batteries. Both open-circuit voltage and specific gravity readings can give a good indication of the battery’s charge level, age, and health. Routine voltage and gravity checks will not only show the state of charge but also help spot signs of improper care, such as undercharging and over-watering, and possibly even locate a bad or weak battery. 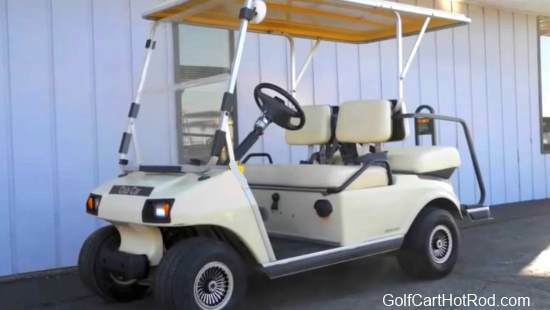 The following steps outline how to properly perform routine voltage and specific gravity testing on Trojan Golf Cart Batteries. The readings should be at or above the factory specification of 1.277 +/- .007. If any specific gravity readings register low, then follow the steps below. 1. Disconnect all loads from the batteries. 2. Measure the voltage using a DC voltmeter. 3. Check the state of charge with Table 1. 4. Charge the battery if it registers 0% to 70% charged. 1. The battery was left in a state of discharge too long. 2. The battery has a bad cell.